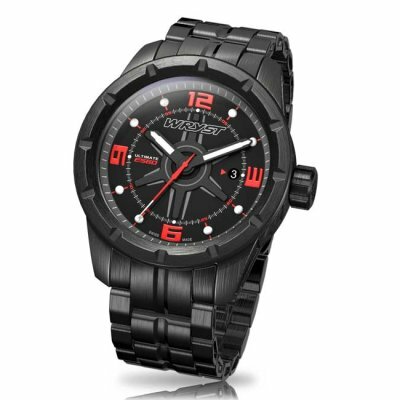 A unique black Swiss watch for sports designed to withstand tough environments. The atypical watch brand Wryst now offers the addition of a solid black DLC metal bracelet for ULTIMATE Swiss watch collection for sports. With a 45mm diameter case size and 22mm width bracelet, these watches are a true statement of individualism. 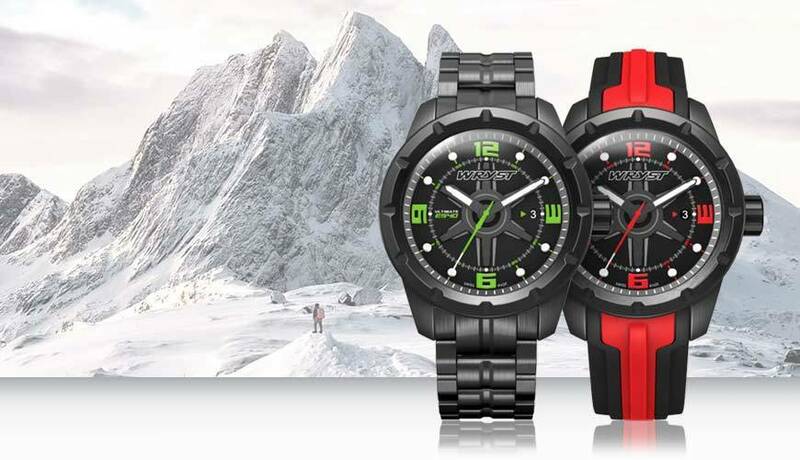 The timepieces dedicated to outdoor sports benefit of sapphire crystal, Diamond-Like Carbon coating (DLC), 200 Meters water resistance and screw down crown. More exclusive than ever, wear a timepiece produced exclusively in a limited edition of 99 pieces with serial number engraved on the case-back. The exclusive limited edition black Swiss watches ULTIMATE are available with green, yellow, red accents. Reference Wryst ES20 is the all-black version with also black DLC coating on the case back. 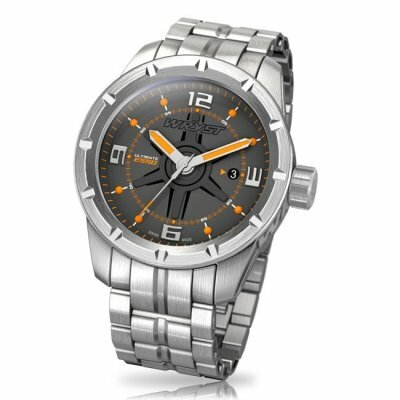 Wryst also offers the brushed stainless steel finish with the slate grey and orange watch Wryst ES50 for a more casual look. 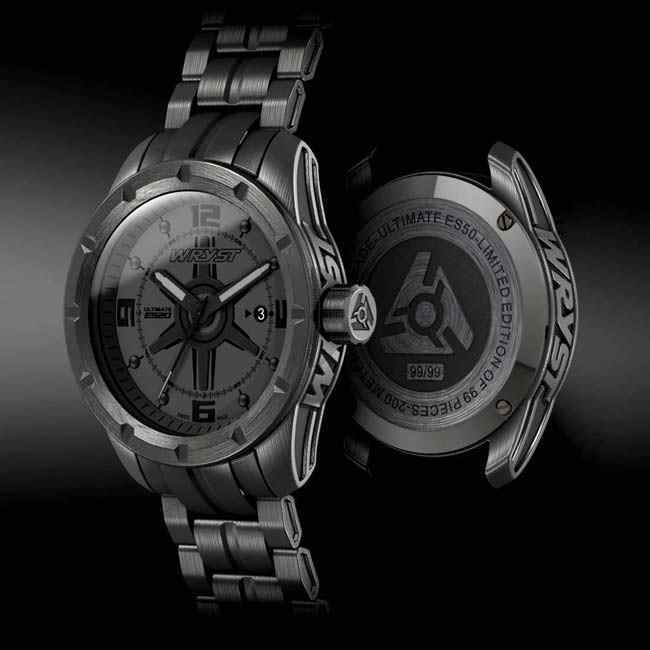 All watches benefit of deep engravings on the side of the case at 0.6mm tooled by CNC for an unprecedented look. The round face 3 hands and date sports timepieces are now available with the large solid black watch bracelet for enhanced style. 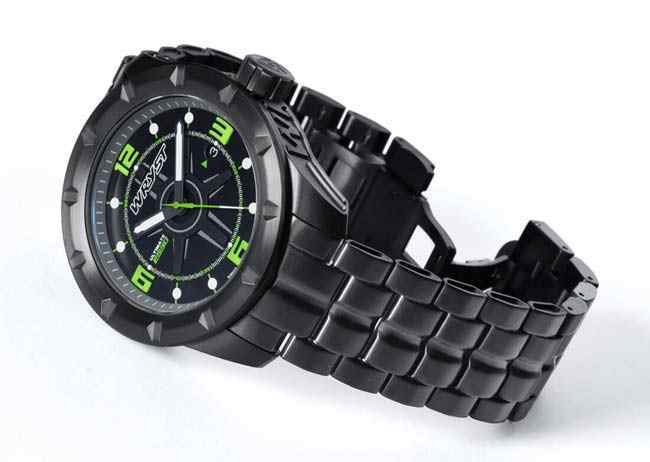 The bold feel of this watch is evident when you add the total weight of 209 grams to your wrist. A quality 3 blades clasp will secure nicely this luxury accessory with analog display and luminova on the hands and hour markers. 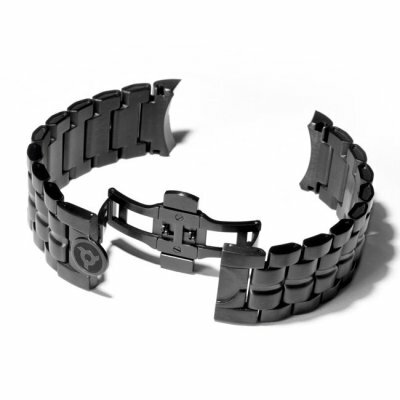 Black DLC coating is the most scratch-resistant protection for Swiss watches. 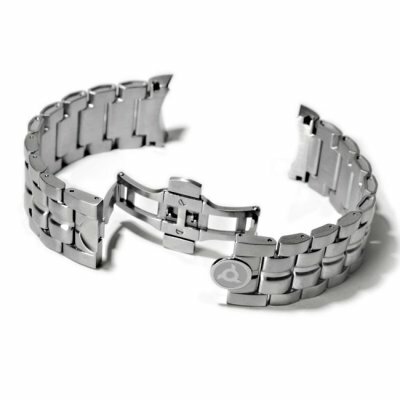 With a robust feel and good weight, your Ultimate Swiss watch will be more reliable and durable than ever. 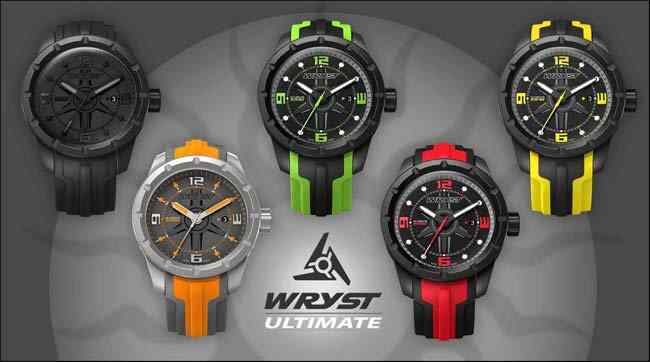 Wryst also offer for each sports watch of the Ultimate collection an extra double injection quality silicone strap and signed square buckle. You can also purchase the Wryst Ultimate black Swiss watch with two double injection straps for a lighter, softer and more casual feel HERE.